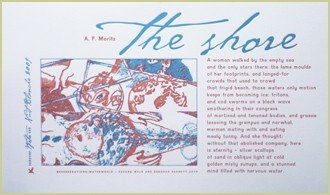 Celebrated poet A. F Moritz contributed his poem The Shore, to lead the broadsides in Someone's fine print series Water. 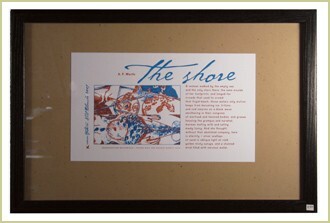 The broadside was printed for Nuit Blanche 2009. To know the whole story see The Shore.